May His blessings fill your life. Wishing you a happy season filled with peace and many happy blessings! Let us sing for good Lord's glory! Rejoice! Wishing you a wonderful Easter and Happy spring! Congratulations! Sending you love and good wishes on Easter! Hoping that all of your Easter dreams come true! You are my no 1! Hope you have an egg-ceptional Easter! Thanks for sharing your joy and peace with me! Happy Easter! The miracle of new life and blessings from above! 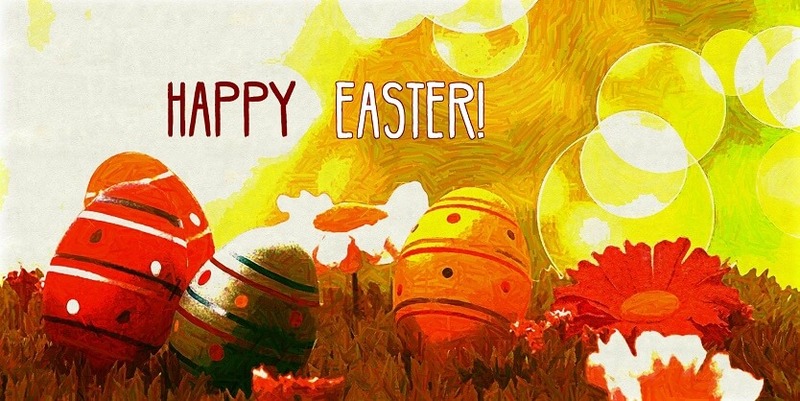 May your Easter celebration be bright and colorful! May you be blessed with all the joys of Easter and touched by all the beauty of spring. For a very holy Easter Day! Congratulations! May your Easter be filled with all things bright and beautiful! Happy Easter! May you enjoy all the lovely gifts that springtime has to offer!